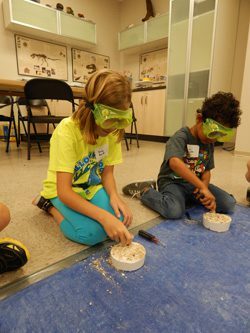 Registration For HMNS X plorations Summer Camp Is Now! Don’t forget you can Refer a Friend when registering for Summer Camp, and you’ll both receive a discount! More information on that can be found here. There are two ways to register for Xplorations Summer Camps at HMNS. The 2018 Summer Scouts Catalog is available here. *PLEASE NOTE: In order to register for a camp you will need to have an HMNS user account. You do not need to be an HMNS member to set up an account. Please refer to the Xplorations Summer 2018 Catalog for details about registration. 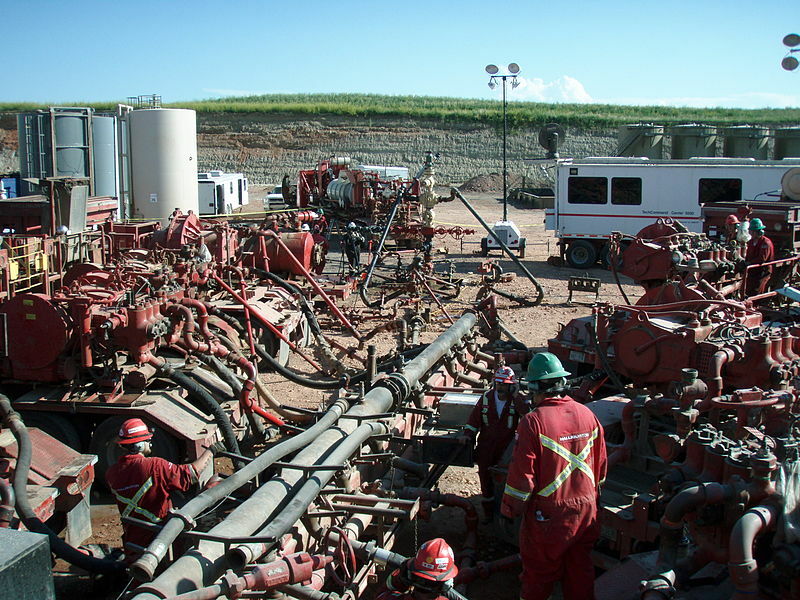 Fracking the Bakken Formation in North Dakota. Author: Joshua Doubek. Source: Wikimedia Commons. Induced earthquakes are triggered by humans, either by injecting fluid into the ground, extracting it, or impounding it behind dams. These unnatural earthquakes have occurred for a century, but in the past decade have become more prevalent. These induced earthquakes create a new hazard and bring public attention, but they also create opportunities to study earthquake processes at atypical rates. Dr. Katie Keranen of Cornell will discusses the sudden rise in induced seismicity, the relationship to oil and gas production including wastewater disposal and hydraulic fracturing, mitigation efforts, and new scientific advances made possible by this unintended experiment. Please call 281- 242-3055 for more information. Astronauts of all ages—kids and adults—can fly to the Moon with NASA volunteers in the Expedition Center. Great fun for the family! No danger is involved! Astronauts are assigned jobs aboard the Space Station Observer and work together as they solve problems and have fun. Volunteers who work at NASA will run the missions and visit with the participants. Don’t miss this special opportunity to participate in real astronaut training! Moon Expedition in the Expedition Center! Programs in the Expedition Center are usually only open to groups with reservations. Don’t miss your chance to participate as an individual during this special event! This event is available for people 7 years of age and older. Kids 7-9 must have a paid adult chaperone participate. A minimum of 10 participants is required for each mission. Refunds will be issued if the minimum is not met. Please join us for our Annual Gala: Jewel of the Nile, on Saturday, March 3, 2018. Individual tickets will begin at $500 and tables of 10 will begin at $5,000. Funds raised from Jewel of the Nile will benefit the Museum’s general operating budget, which sustains our many programs and fosters a love of science and discovery for two million visitors, school groups, summer campers, and scouts annually. For more information or to purchase tickets, please contact Emily Brents at 713-639-4729 or ebrents@hmns.org.